The South Florida DX Association’s club station is located at the Florida Medical Center (Oakland Park at the Turnpike). The shack occupies a “Penthouse” location. The antennas consist of a HyGain TH-11 atop of a 60′ ft Rohn 25 tower, giving an overall height above ground of 110 feet. Wire dipoles for lower frequency bands are also installed. 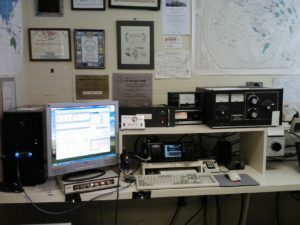 Join SFDXA and enjoy our club station K4FK operating privileges!